Jack’s Nadi will play Labasa in the first semifinal of the Vodafone Fijian FACT on July 2 at 3pm at Ratu Cakobau Park in Nausori. The second semifinal at 5pm will see Rewa hosting Kasabia Ingco Suva. After a torrid last round of pool matches yesterday, Nadi became the Pool A winners with nine points while Rewa finished second with four points. Pool B was decided in the last match between Labasa and Lautoka. The Blues needed a draw to qualify but the red cards to Valerio Nawatu and Ilaitia Tuilau spoiled their day. 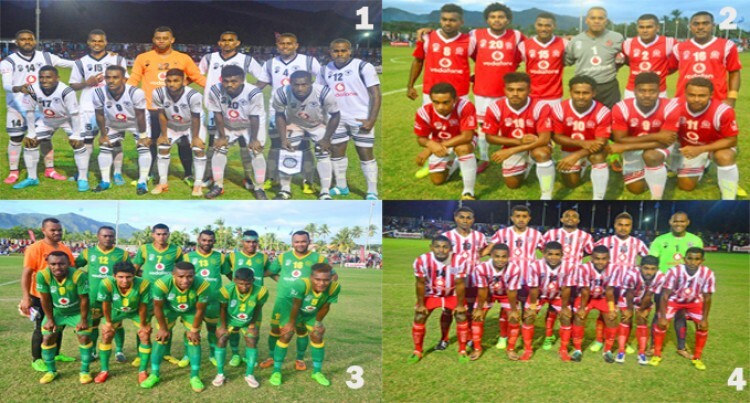 Suva, Labasa and Lautoka all ended up with six points each after last round of pool games but it was Suva and Labasa who qualified at the end with better goal differences. Suva thrashed Nadroga 6-0 to become the first side to qualify. Labasa defeated Lautoka 2-1 as the Babasiga Lions roared in front of their fans to win in style with goals from Ravinesh Karan Singh and Edwin Shayam. The final will be played on July 3 at Ratu Cakobau Park in Nausori. Fiji FA president Rajesh Patel said the performance was of good standard. “The matches were up to expectation and I’m impressed with the performance,” Patel said.